What is the Oakwood Exteriors Referral Program? The Oakwood Exteriors Referral Program is designed to thank our customers for referring us to their friends, families, and co-workers. Once we receive the referral through the form below, we will contact the referral to schedule a time for a free estimate. 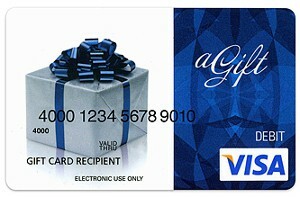 When your referral signs their proposal and their project is completed, a gift card will be mailed or brought to you. You do not have to be a prior customer to participate in the Referral Program. The only thing we require is to fill out the form online prior to your referral having an estimate scheduled. We will not accept referrals via telephone, fax, or in person. The referrals must be entered in the referral form below. What do you get for referring a customer to us? *Signed jobs include a signed contract to complete the following work: asphalt shingles, stone coated steel shingles, standing seam metal, replacement windows, siding, fascia & soffit.